Home 2016 GRAN PREMIO TIM DI SAN MARINO E DELLA RIVIERA DI RIMINI motogp Movistar Yamaha MotoGP RAC Valentino Rossi I tried to resist but he was too fast! I tried to resist but he was too fast! It was a good but not great weekend at the San Marino GP in Movistar Yamaha MotoGP rider Valentino Rossi's backyard, as the 'Doctor' led for much of the first half of the race before falling victim to the incredible pace of chasing Dani Pedrosa (Repsol Honda Team.) 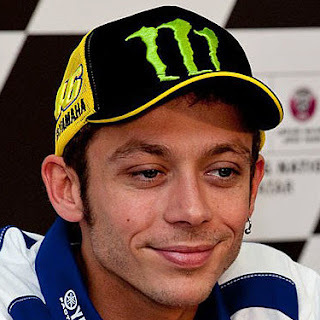 Rossi, who got a good start from P2 and soon overcame teammate Jorge Lorenzo in signature aggressive style, kept a one-second gap at the head of the field until Pedrosa caught him, passed him and gapped him to take the flag. After having a more difficult Friday however, Rossi was happy with improvements made and although he missed the victory, the 9-time world champion did finish ahead of Pedrosa's teammate Marc Marquez and cut the gap at the top of the championship to 43 points. 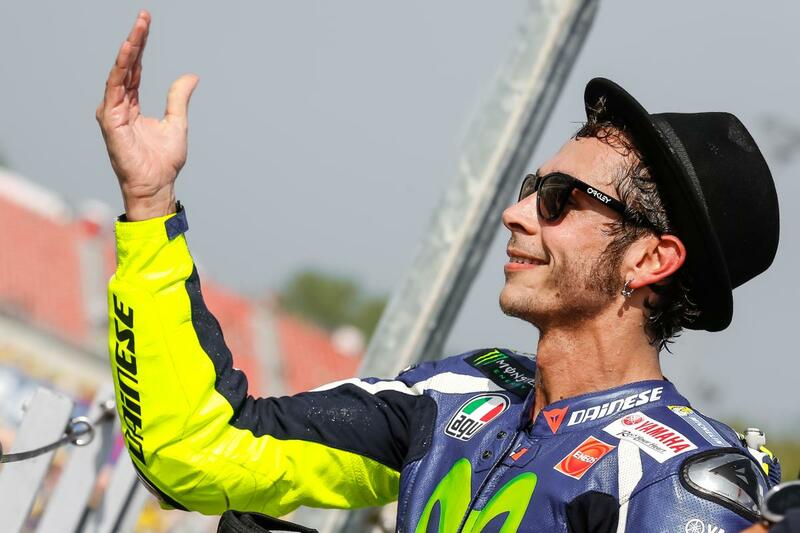 The Italian legend was more satisfied in having beaten the number 93 on the day, however, knowing what that meant about his race at Misano World Circuit Marco Simoncelli. 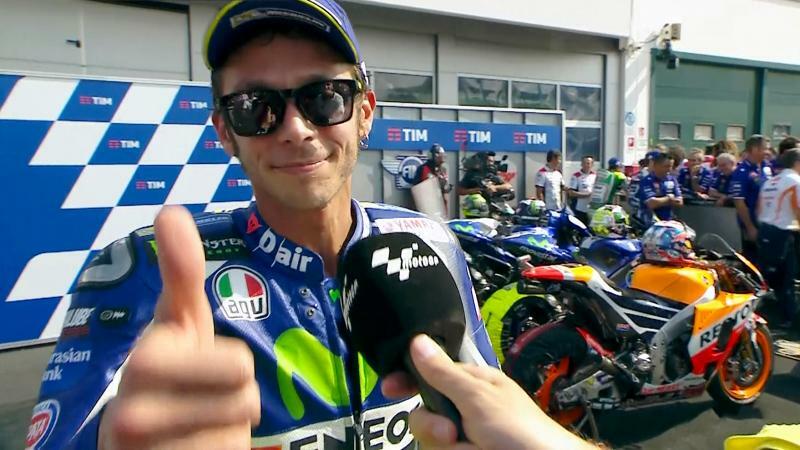 Valentino Rossi (P2): "I think it was a good weekend and we worked well on the bike. We were able to improve and we made the right tyre choice for the race. It was a good start and I got in front and pushed at the maximum - it wasn't easy. I had the pace to stay there but not to escape. It was difficult and demanding physically. I could do great pace and stay around one second ahead and control that pace, and lap by lap I was more and more positive about the end, but after Pedrosa arrived…he was just faster. I tried to resist but he arrived with seven laps to go. I tried to make a lap behind him at the maximum but it wasn't my pace; he was too strong. But it was a great race and a very good weekend. Other than just the championship, it's always great to beat Marc - because you know if you have, you've done a very good job."